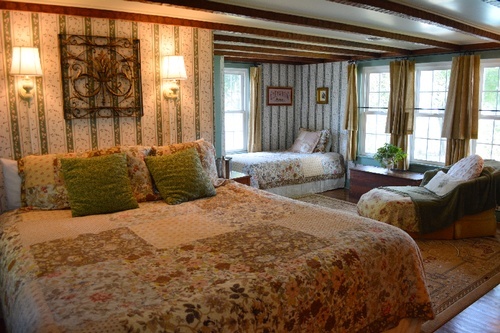 Black Walnut Point Inn is open year-round. 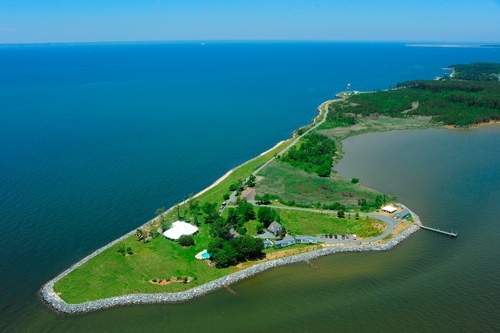 Continue through Tilghman Island to the end: past the parking area, Naval Radar Station and through the Natural Resource Area gate and down the half-mile drive to the Inn. 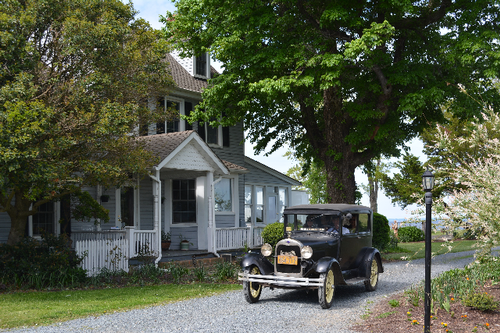 Black Walnut Point Inn on Tilghman Island, just 20 minutes past St. Michaels on 58-acres of bird sanctuary, offers peace and quiet with unobstructed water views in every direction. Built in 1845, hand-hewn black walnut beams, original hardwood floors, and the welcoming crystal pineapple chandelier are hallmarks. 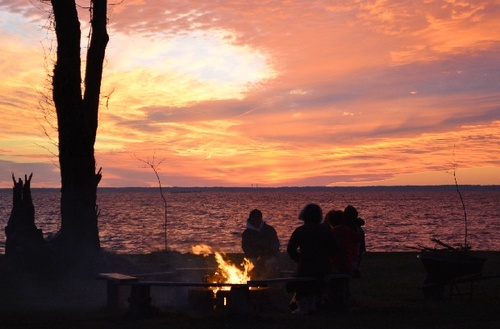 Open year-round, our 3 waterfront cabins sit 20 feet from the broad mouth of the Choptank River; and the pool, gardens and secluded hammocks feature some of the most spectacular views found anywhere on the east coast. The back cove is home to nesting bald eagles, osprey, hawks and wintering owls. Black Walnut Point is also on the flyway for hundreds of monarch butterflies, songbirds and waterfowl. With some of the best kayaking in the area, the Inn is great for biking and hiking. Bay dolphins are seen off the western bulkhead along with cow-nosed rays and schools of bluefish. Because the Choptank is the spawning river for rockfish, the fishing dock has landed several. But by far, it is the serenity of our private island sanctuary that makes the pool, hammocks and rocking chairs the favorite. 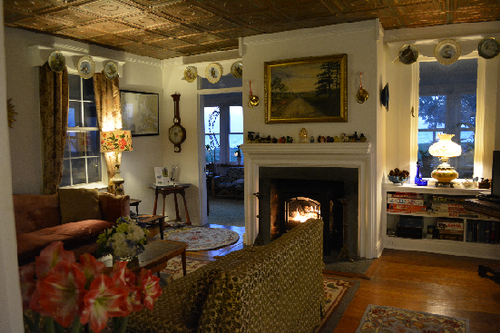 With miles of water at every turn, the comfort of the point and its house are palpable. 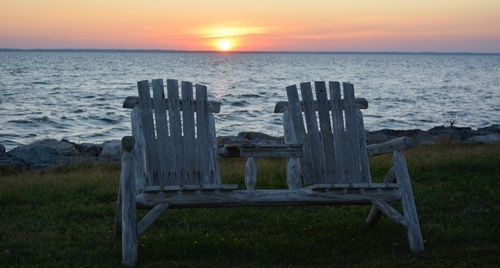 As one of the most unique properties on the Bay, Black Walnut Point Inn continually lulls the most active tourist into sitting down to do nothing but experience the wind and waves as the sun sets over the Chesapeake Bay. Historic private estate with an outdoor swimming pool. Biking, fishing dock and kayak launch. 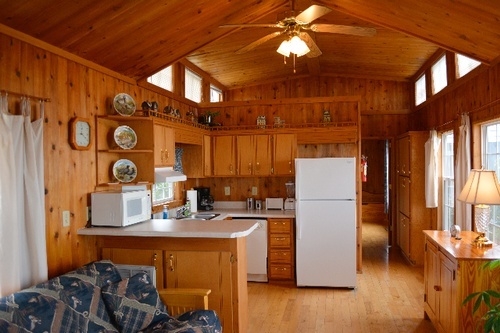 Full service waterfront cabins equipped with private porches, fireplaces and kitchens. Private access for guests on 58-acre bird sanctuary.